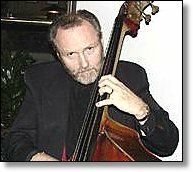 He is a famous Kontrabass performance player in U.S.A and doing performance in states by travelling around while teaching it to students. 미국 전역과 영국 등 유럽을 순회하며 콘트라베이스관련 자작 퍼포먼스를 공연하고, 학생들에게 퍼포먼스에 대한 강의를 하시는 유명한 연주자 이십니다. 11월 공연을 위해 vw1200 모델을 부탁하셨습니다.